ARKADELPHIA, Ark. (AP) _ Students at Arkadelphia High School have embarked on an interesting endeavor that will both further their education and benefit those in need. The project came about after pre-engineering teacher Bud McMillion was contacted by Arkansas Tech University Professor Megan Toland, The Daily Siftings Herald (http://bit.ly/2eNu40y ) reported. Having heard about the program at AHS, Toland asked McMillion if he and his students would like to compete in ATU’s Students Design for Change Competition. This contest consists of teams designing micro shelters that will assist people who are temporarily experiencing homelessness. It is open to all high schools in Arkansas. “I felt the description of the competition really fit well with Arkadelphia High School’s Project Based Learning environment,” said McMillion. In addition to this, McMillion shared that it is a good fit for the combined Geometry-Introduction to Engineering Design (GEOIED) course. The AHS GEOIED classes are comprised of 78 ninth and tenth graders who will be involved in producing design packages that will be sent to the competition. Once they are submitted, the top five design packages will be chosen by ATU. Each of the five selected teams will receive $1,000 that will go toward their designs being constructed. The packages must include the team’s own micro shelter description, a set of technical drawings, a bill of materials, a building timeline and a statement describing what the students have learned about homelessness. “This will also give us a chance to come to grips with a real world problem that we can learn about and use our knowledge to produce a workable solution,” said McMillion of the homelessness aspect. For the students involved, the work covers a variety of grounds, not the least of which plays to an individual’s interests and strengths. The reality that the competition is going towards combating homelessness only enriches the experience. The community has gotten involved, also. Twin Rivers Architecture’s Mark Overturf has been working with design teams on structure criteria. In addition, Lighthouse Ministries is assisting in educating the students on Arkadelphia’s homelessness. “We would encourage anyone else in our community who would like to help with this design project to contact the high school,” said McMillion. 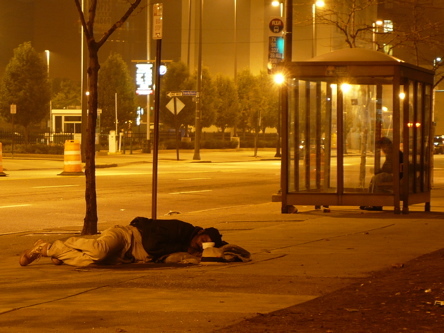 ATU will play host to a homelessness symposium in April of next year. Winners of the contest will be able to showcase their work during the event. In the meantime, McMillion revealed, the AHS students are nearing completion of their design proposals. They will be submitted to the competition by the end of the week. The AHS group should receive word in late November regarding the project’s reception.